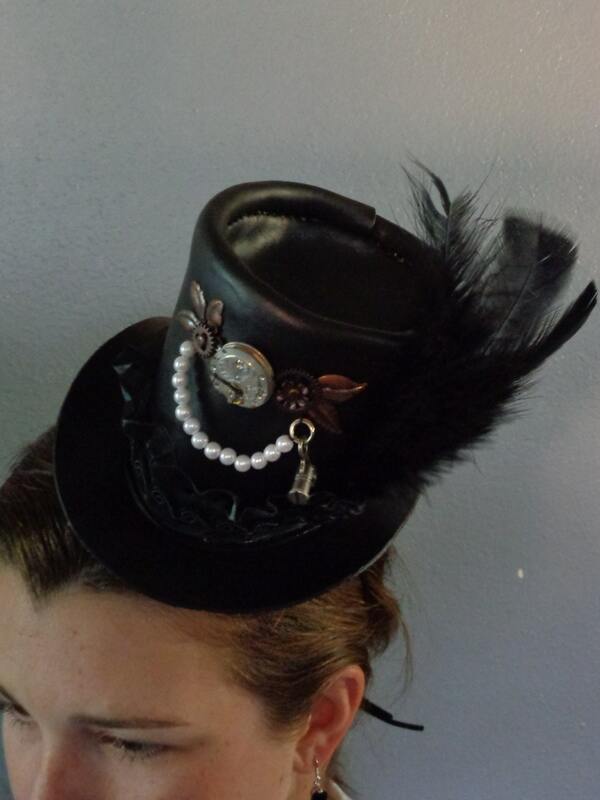 This Steampunk leather mini top hat comes adorned with antique pocket watch movement, clock parts, gears, feathers , and clock key attached by a string of pearls. Victorian scroll is hand tooled. Has lace hat band and black fabric lining. Attaches with black hair band (included). These are made to order. Due to the use of real antique pocket watch movements no two will be alike. One size fits all.